Product code: 1062 Categories: Sold Items, Sold Pocket watches. Demi-hunter pocket watches always have a stylish look about them, and this gents demi-hunter pocket watch is no exception. 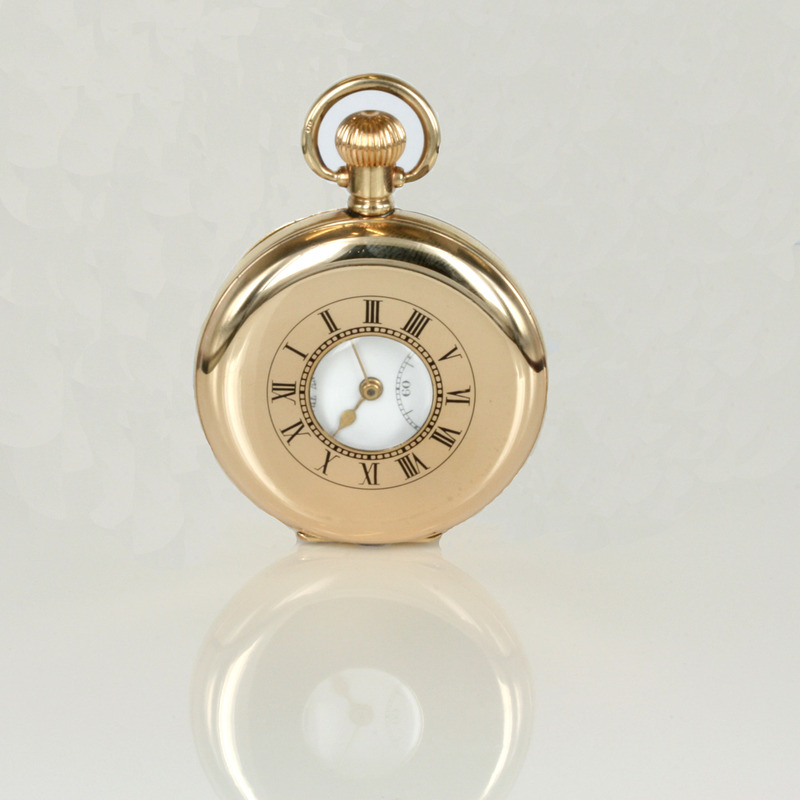 Made by the Swiss company, “The Angus” around 1910, this demi-hunter is made in a rolled gold case, and displays Roman numeral on the outside case, and Arabic numerals when the front case is opened. The case measures a decent 48mm across and feels great to hold in the palm of your hand. 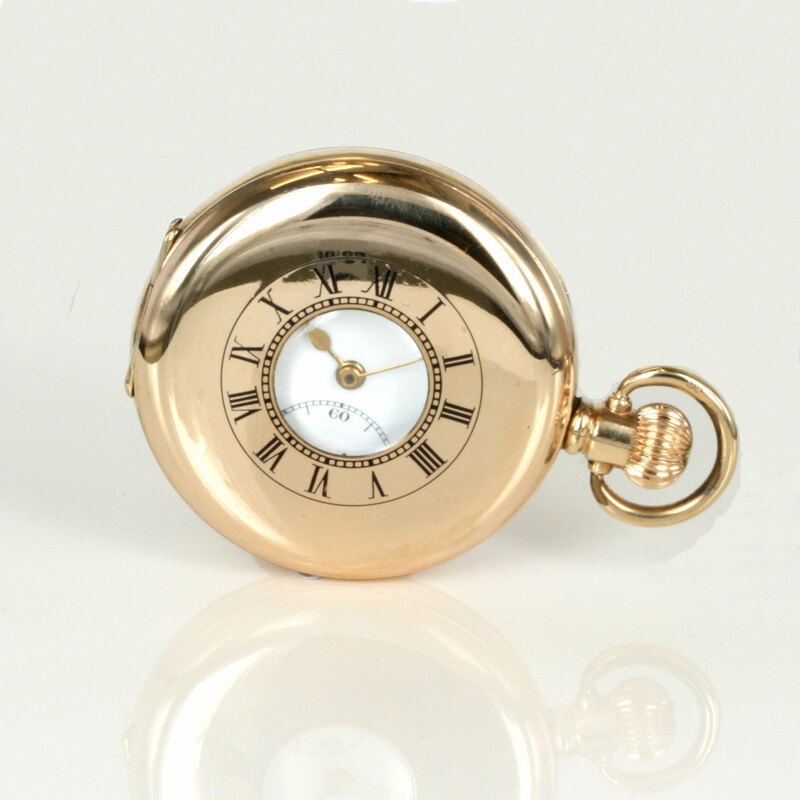 With the crown wind and setting function making it easy to wind and set, a pocket watch like this is useful for everyday use or as a perfect present.